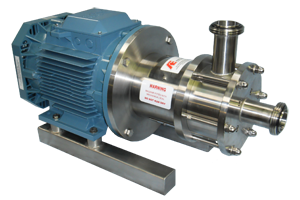 With in excess of 40 years experience, AE Mixers are established as a leader in the design and manufacture of mixing equipment for fluid processing applications. Mixers are designed and manufactured in our purpose built factory to meet exacting customer standards and to optimise specific individual processes. With off-the-shelf spares, machine repairs and on-site service, AE Mixers provides dedicated support throughout the operational life of the product to all customers, small or multi-national. Call Us on 01706 759003 to discuss your Process Requirements or for a Free On-Site Trial.